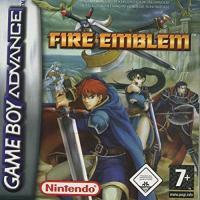 Fire Emblem is the key word for a coherent series of strategic roll-up games for various video game systems that have existed since 1990 and for which new titles are still available today. 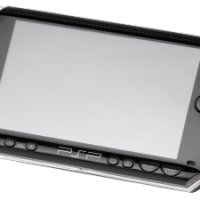 The individual parts are developed by the Japanese Nintendo-Studio Intelligent Systems. Originally, Shōzō Kaga was the main designer for many parts of the series, but he founded his own company in 2001 and has not been involved in the development of new Fire Emblem publications since then. Yuka Tsujiyoko is responsible for the musical background of almost all the games in this series. Up to now, the series contains 16 different titles, which have almost exclusively appeared on one system, and have not been ported to other systems. The only exception is the Virtual Console, an on-line service for the Nintendo Wii where you can download older Super Nintendo titles for a fee. In the English-speaking area there have been publications of games of this series only since 2002, until then all parts were only published in Japan, where the games had a very strong influence on the game culture. The Nintendo Game Boy Advance (3 parts), the Nintendo GameCube (1 part), the Nintendo Wii (1 Part), the Nintendo DS (2 parts), the Nintendo 3DS (5 parts) and for iOS and Android (1 part). The chronological order of the individual parts is not tied to the order of publication, in the English-speaking area due to the large gaps in the publications, in the Japanese due to the series and the remakes and extended versions. Likewise, there is no continuous connection of all parts by recurring characters or places, instead there are small cycles (two to three games long, as a prehistory, or events depicted thereafter) that relate to each other, otherwise each part is in itself for another time and a different place. 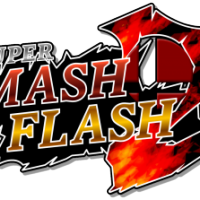 Since most of the games have never appeared outside of Japan, but were very popular with the players, there are a large number of fan projects for the unofficial translation into English, which were often discontinued during the project phase. Fire Emblem, known in Japan as Fire Emblem: Rekka no Ken, is a tactical role-playing game developed by Intelligent Systems and published by Nintendo for the Game Boy Advance handheld video game console. It is the seventh entry in the Fire Emblem series,[b] the second to be released for the platform after Fire Emblem: The Binding Blade, and the first to be localized for Western audiences. It was released in Japan and North America in 2003, and in Europe and Australia in 2004. 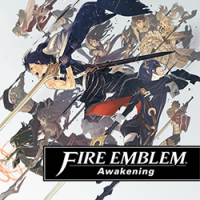 Fire Emblem Awakening (Japanese: ファイアーエムブレム 覚醒 Hepburn: Faiā Emuburemu Kakusei) is a tactical role-playing video game, developed by Intelligent Systems and Nintendo SPD and published by Nintendo for the Nintendo 3DS handheld video game console in April 2012 in Japan, and April 2013 outside Japan. 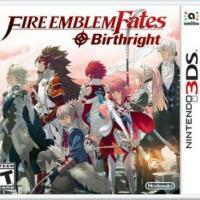 It is the eleventh entry in the Fire Emblem series,[a] and the first to be developed for the Nintendo 3DS. The gameplay, like previous Fire Emblem games, focuses on tactical movement of characters across a battlefield fighting enemy units. Other features include the ability to build relationships between the characters to improve their abilities, adjustable difficulty levels, a mode that disables the permanent death of characters, and multiple camera perspectives in battle. Fire Emblem: The Sacred Stones, known in Japan as Fire Emblem: Seima no Kōseki is a tactical role-playing game developed by Intelligent Systems, and published by Nintendo for the Game Boy Advance handheld video game console in 2004 for Japan and 2005 in the West. It is the eighth entry in the Fire Emblem series, the second to be released outside Japan, and the third and final title to be developed for the Game Boy Advance after The Binding Blade and its sequel Fire Emblem. 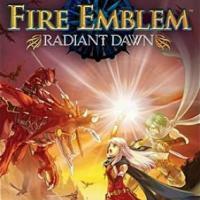 Fire Emblem: Radiant Dawn, known in Japan as Fire Emblem: Akatsuki no Megami, is a tactical role-playing game developed by Intelligent Systems and published by Nintendo for the Wii home console. It is the tenth entry in the Fire Emblem series,[b] and acts as a direct sequel to the 2005 GameCube title Fire Emblem: Path of Radiance. It released in 2007 in Japan and North America, and 2008 in Europe and Australia. Radiant Dawn's plot begins in war-torn Daein with the main character Micaiah and her allies rebelling against the oppressive Begnion army. The story is divided into four parts, and changes perspective between different factions within the continent of Tellius. 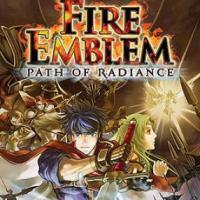 The gameplay is similar to Path of Radiance and previous Fire Emblem titles, with units moving across a grid-based map in turn-based battles, and characters unrelated to the core plot being subject to permanent death if defeated. Fire Emblem: Path of Radiance, known in Japan as Fire Emblem: Sōen no Kiseki, is a tactical role-playing video game developed by Intelligent Systems and Nintendo SPD, and published by Nintendo for the GameCube home console in 2005. 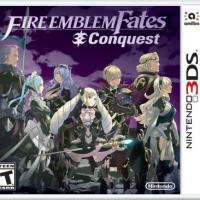 It is the ninth main installment in the Fire Emblem series, and the third to be released in the west. As with previous installments, gameplay revolves around positioning characters on a battlefield with the aim of defeating an opposing force. 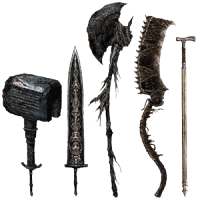 If characters are defeated in battle, they are removed from the rest of the game. 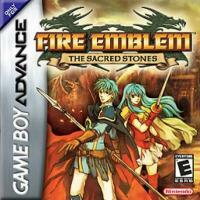 The story takes place in Tellius, a separate world from other Fire Emblem games. Tellius is a continent inhabited by the humanoid Beorc and the shapeshifting Laguz. The game begins when the Beorc nation of Daein invades Crimea, a fellow Beorc nation. The protagonist, a mercenary named Ike, discovers Princess Elincia, the last heir to the throne of Crimea, and begins a journey to restore her to the throne. Ike and his group travel across Tellius to form alliances with the other countries and free Crimea from Daein's control, confronting racial tensions and long-standing resentment between the Beorc and the Laguz along the way. Revelation, the excellent third branch in the Fire Emblem Fates story, might be relegated to download-only (unless you own the Special Edition), but it shouldn’t be missed. This entirely unique turn-based tactics campaign is a fantastic trifecta of imaginative battle maps, bountiful and engaging character interactions, and challenging yet accessible combat. Things really take off after a rough start to the story, and great customization and balanced difficulty make it a great investment for anyone who enjoyed Birthright or Conquest and was left hungry for more. Fire Emblem Fates (ファイアーエムブレムif Faia Emuburemu Ifu, Fire Emblem if in Japan), is a Japanese tactical role-playing game for the Nintendo 3DS, developed by Intelligent Systems, and published by Nintendo. It is the fourteenth game in the Fire Emblem series. It was released in Japan on June 25, 2015 and internationally in 2016. Furthermore, Fire Emblem Fates is a first title in the franchise that was officially released in South Korea. 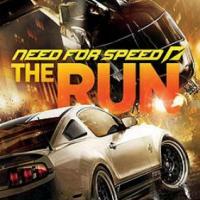 The game is rated C (CERO) in Japan, T (ESRB) in America, and 12 (PEGI) in Europe. Fire Emblem: Shadow Dragon, known in Japan as Fire Emblem: Shin Ankoku Ryu to Hikari no Ken, is a tactical role-playing game developed by Intelligent Systems and published by Nintendo for the Nintendo DS handheld video game console. 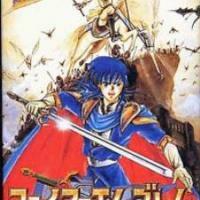 It is a remake of the Famicom title Fire Emblem: Shadow Dragon and the Blade of Light, the first entry in the Fire Emblem series. 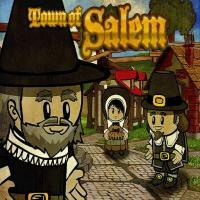 It released in 2008 in Japan and Europe, and 2009 in North America and Australasia. 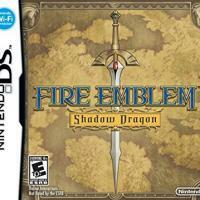 Shadow Dragon retells the events of Shadow Dragon and the Blade of Light. Set on the continent of Archanea, the story follows Marth, prince of the kingdom of Altea, as he is forced into exile from his lands when the evil wizard Gharnef and resurrected Dark Dragon Medeus begin their conquest of the continent. Forming new alliances with neighboring kingdoms, Marth must form a new army to retrieve the mystical Falchion sword and Fire Emblem shield to defeat both Gharnef and Medeus. The gameplay follows the Fire Emblem standards of turn-based battles played out on grid-based maps. Returning features include a character class system which evolves based on character usage, and permanent death for units defeated in battle. Fire Emblem: Genealogy of the Holy War is a tactical role-playing game developed by Intelligent Systems and published by Nintendo for the Super Famicom home video game console in 1996. 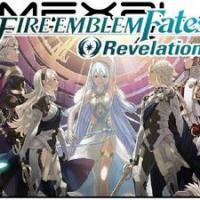 It is the fourth installment of the Fire Emblem series, and the second to be developed for the platform. It is also the first entry not to use the continent of Archanea, featured in the original Fire Emblem and its sequels, as its setting. Genealogy of the Holy War takes place on the continent of Jugdral, split between eight different countries founded by the Twelve Crusaders, an ancient group of soldiers who ended the rule of the ancient dragon Loptyr with divine aid. In the present, a cult working to revive Loptyr stir up war among the countries. The story is told over two generations — the first generation follows the Grannvalian prince Sigurd, while the second follows his son Seliph as he works to defeat the cult and avenge his father. Gameplay follows the traditional Fire Emblem system of tactical battles taking place on grid-based maps, while adding the Weapons Triangle and Support systems, which directly impacted both gameplay and story.